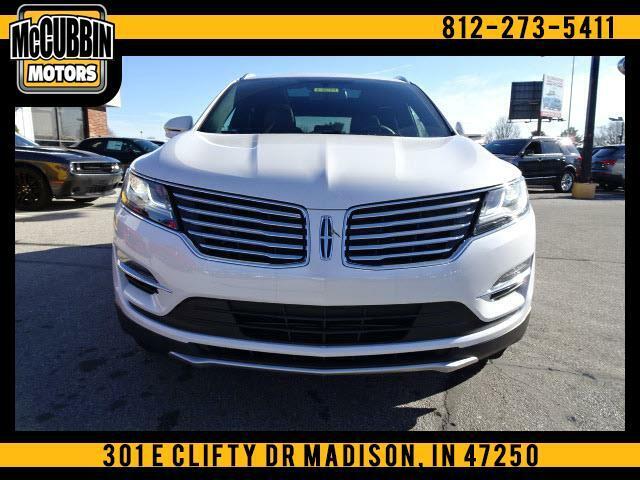 This 2018 Lincoln MKC Select AWD in White Platinum Metallic Tri Coat with Hazelnut premium leather rimmed seats is just what you would expect and more in a quality luxury vehicle. The car not only drives great but you will look super in it as well. It is powered by a 2.3 liter Ecoboost engine that has plenty of power and gets great gas mileage too. It has heated and cooled front leather seats, a rear back up camera, navigation, and BLIS blind spot monitoring system. You need to stop in to take this car for a drive if you want a quality ride that you will be proud of. The listed price includes the factory rebates, must be financed with Lincoln Automotive Financial Services and is valid until July 1, 2019. Message: Thought you might be interested in this 2018 Lincoln MKC.